The Everest three pass trekking covers almost the entire Everest Region, all the passes are above 5000m and it is one of the best hikes in the world. This trail offers three challenging routes-Renjo La (5388m), Cho La (5380m) and Kongma La (5535m). The Everest region is also one of a Nepal top route for trekking. 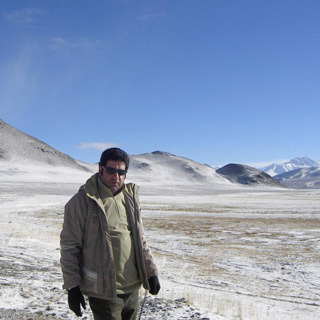 Three pass trek is perfect wilderness, high pass point, cracking sound of ice and glaciers, the sound of cold wind. The Everest Three pass trek high altitude adventure route lies in Sagarmatha National Park. This National park is a habitat of local people as well, for protection of nature and its beauty credit goes to locals. Sagarmatha National Park, an area of 1148 sq.km. The National Park has 118 species of birds, home of rare mammals like musk deer, snow leopard, red panda, and Himalayan black bear. The vegetation of this region is a dwarf-sized and plant stop growing at the level of 5750 m.
March-May and October-November are the best seasons to do the trek. But many trekkers still choose June- early September because of their vacation and December- February gets very cold, one can see clear skies. In this trekking route- you can view mountains and local culture. The Everest three pass trek starts as soon as we have a mountain flight Lukla from Kathmandu. After landing our flights in Lukla, we start trek to Namche Bazaar. The trail leads us to Tengboche then to Dingboche and our first pass Kongma La. Our team will head towards Everest Base Camp with panoramic views of mountain Everest, Nuptse, Lhotse, Ama Dablam. We continue our trek via Dzong La and Cho La, finally makes us stand at Gokyo Lakes. Gokyo an altitude of 4750 m, is a few stone houses and the highest settlements in the world. Gokyo has many lakes and its own religious significance, Gokyo RI Mountain, best view Point of Khumbu Region Mountains. Our company "Nepal Glacier Treks" has been operating adventure travel, activity since 2006. You can get an experienced guide and cheerful porters. For us "life of Porters matter too", and creating job opportunities for locals. So, our guide is a licensed holder and cheerful porters are insurance. Our company will take all your burdens and be free to feel the adventure. Our company can arrange a Trekking Information Management (TIMS) card and a Sagarmatha National Park permit. Our guide will be there to all your day to day accommodation to trek route info. Day 01Arrival in Kathmandu (1350m)Arriving at the International airport in Nepal and a warm welcome by our team, transfer to hotels. 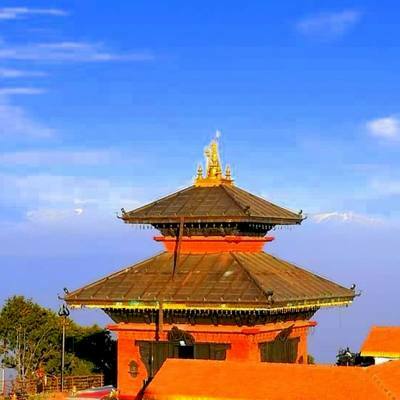 Kathmandu valley has its own history and culture, you explore the city after completing your trek. The capital city of Nepal and you can see local are influenced by the western culture. Your guide gives you certain notes and ask him if you have any queries. Overnight stay at hotel in Kathmandu, (Included only breakfast). Day 02Kathmandu City Tour and Prepare of TrekToday you can go shopping and buy the things you need while doing the trek. If you need any help and you can go with a guide. After doing all packing and buying activities, you can go half day tour with your guide. Overnight stay at hotel, (Included only breakfast). Day 03Kathmandu- Lukla (2840m)- Phakding (2652m) 3- 4 hours walkAs you board in flights, you will be a little bit far away with the crowd. It takes around 40 minutes fly to Lukla from Kathmandu, we fly early in the morning because day time flight closed down. Lukla where your adventure starts, do not get afraid to the airport and its surroundings. Lukla airport was also named as Tenzing-Hillary airport. After your flight, you will have a half day trek to Phakding. Our team will walk 3-4 hours today. Phakding has offered nice accommodation for us and our guide will be with you so do not worry about it. We cross through small villages, Kusum Drargka, Dudha Koshi River. Our team ascends 1312m, that's nice starts. Be ready for more up and up for the coming days and do not forget to ask if you have any queries to guide. Overnight at guesthouse, (Dinner Breakfast Lunch). Day 04Phakding- Namche Bazaar (3440m) 5- 6 hours walkToday trek will make you cross 3000m, your adventure begins as you step ahead and more altitude for you. Its 5-6 hours trek towards Namche Bazaar, the trail leads many beautiful points where you can have scenery, nice accommodation and local culture. Namche bazaar is at the height of 3440m, at this height you can bank, Starbucks shops, and complete market. It feels that, you are at the high mountain shopping center. Namche Bazar is center point to do trek different route in Everest region. Overnight guesthouse, (Dinner Breakfast Lunch). Day 05Acclimatization and Rest DayThis is a very important day for hikers, the trekker need to spend a day because acute mountain sickness can be risky to trekkers. So, it is a compulsory and most recommended to all trekkers. Today, the visitors can rest hotel or visit around Namche Bazaar. If interested, after breakfast the trekkers can explore Namche Bazaar- it is an old and an iconic Sherpa village of Khumbu region. The trekkers also can visit, headquarter of the Sagarmatha national park. 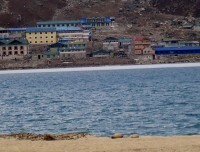 The park displays to learn more about local Sherpa culture, custom. This same day, the visitors get a huge opportunity to explore different kinds of stunning mountain peaks like: Mount Everest, Lhotse, Thamserkhu, Amadablam, Kusum Kanggaru, Kwangde and many other unnamed beautiful Himalayan peaks. On this day, slowly hike to Syangbuche airstrip is a highest airstrip which is situated in 4200m and from here can see beautiful and popular Khumjung village is a very famous where the trekkers get a chance to see Hillary’s school, hospital and museum. After exploring Namche Bazaar, back to camp, then dinner. Overnight stay at the guesthouse in the same place, (Dinner Breakfast Lunch). Day 06Namche Bazaar- Tengboche (3860) 5- 6 hours walkAfter a rest day in Namche Bazaar, you will find more nearness with mountain, local people and with your team. The trail to reach Tengboche, it takes 4-5 hours. Step by step will touch tundra vegetation or Alps climatic Zone. Today, we climb up to 420m and still we are ready for next day adventure. On the way many good place to stay for rest and lunch, you and your guide team up for where to stay. Tengboche has also nice point to stop for the night and offers great accommodation. You will see prayer flags and small step, local here follow the Buddhist. Overnight guest, (Dinner Breakfast Lunch). Day 07Tengboche- Dengboche (4360m) 5- 6 hoursAs you took your breakfast, you are ready for today's trek. It takes 5-6 hours to reach Dengboche. The trail takes up and up i: e 500 m to Dengboche. You can find nice view and start feeling the mountain is closest to you. Stone paved trail pass through coniferous trees, birches, rhododendrons, alpine meadows, wild flowers are seen on the way to route. Overnight in local guesthouse, (Dinner Breakfast Lunch). You can also see small Gompa and monasteries, scenic beauty of nature. Having lunch on the way and rest on the way, helps to forget all your burdens and tension. Dengboche an awesome place to stay for the night. Day 08Dengboche- Chhukung (4750m) 3- 4 hoursDengboche to Chhukung, 3-4 hours walk and climb. From Dengboche amazing view of Island Peak, Lhotse, Ama Dablam. Dengboche is also considered as best point for staying overnight, but we hike to Chhukung. Today it's better to have a short trek because nest day, we will cross the first pass "Kongma La". Overnight in guesthouse, (Dinner Breakfast Lunch). Day 09Second acclimatization and rest dayAcclimatization at Chhukung is the best time for hikers, one can hike to Imja Khola, Nagarzhang peak, and experience wonderful scenery. Also can happen acute mountain sickness to the trekkers and to get rest for tomorrow’s pass. Overnight in guesthouse, (Dinner Breakfast Lunch). monuments, less vegetation, other trekkers and guide. Continues, the trail takes us to Lobuche, clear view of Nuptse and magnificent sunset. Our accommodation will be at this camp point. Overnight in Lobuche, (Dinner Breakfast Lunch). Day 11Lobuche- Gorak Shep (5170m) 3- 4 hoursMagnificent view of sunrise touches the face of Nuptse, our day starts with a fine cup of tea. Our ascent continues along with Khumbu Glacier and cross the Changri Glacier. The distance between the Lobuche and Gorak Shep is about 6 km, it takes 3- 4 hours for us to reach Gorak Shep. Gorak Shep a fine place for overnight stay, great accommodation. Get relax, adjust with altitude and other trekkers. Overnight in guesthouse, (Lunch Dinner Breakfast). Day 12Gorak Shep- Everest Base Camp (5364m)- Gorak Shep 4- 5 hoursEarly in the morning, trek to Everest Base Camp along with Khumbu Glacier. It's 194 m up from Gorak Shep. Day 13Gorak Shep- Kala Patthar (5545m) - Dzongla (4830m) 6- 7 hoursAgain early in the morning trek towards Kala Pattar for sunrise views. You can get one of the best view point to see Everest. After having breakfast, we descend towards the Dzonglha. Stay overnight at Dzonglha, (Breakfast Lunch Dinner). Day 15Thangnak - Gokyo (4800m)Trek towards Gokyo, it takes 5 hours to reach Gokyo. 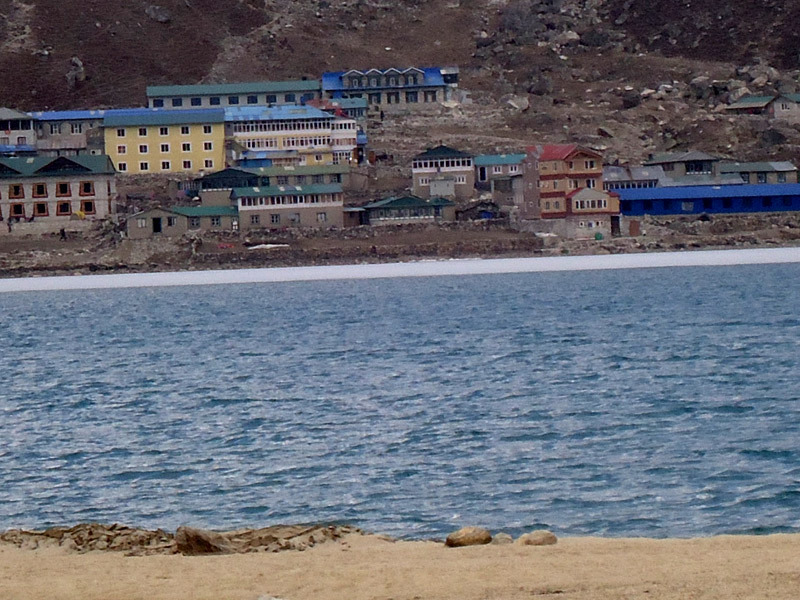 The Gokyo is also the best destination for an overnight stay. You can stay one more day in Gokyo to view and explore more. Gokyo has its own beauty. Overnight in Gokyo, (Breakfast Lunch Dinner). Day 16Gokyo- Renjo La (5360m)- Marlung (4210m) 7- 8 hoursEarly in the morning you can have a scenic view of Gokyo Valley, the Ngozumpa Glacier a and panoramic view of Everest, (Lhotse, Nuptse, Cho-Yo (8153m), Makalu (8481m), Gychung Kang (7922m). Renjo La (5360m) our last pass, after Rinjo La descends towards Marlung. The trail leads us with high mountains, trek with stone path. Overnight at Marlung, (Lunch Dinner Breakfast). Day 18Namche Bazaar- Lukla 6-7 hoursAs you know the route, you descend and pass the Jorsale, Phakding and finally to Lukla. The last night over the Everest region. Overnight at Lukla, (Breakfast Diiner). Day 19Lukla- Kathmandu 40 minutes flightOur company has booked flights for you as soon as we head towards the plane. The first step you took for first day of your trek and memories you collect. Let's say bye to the Lukla and steps you had for a week here. After 40 minutes you will be in Kathmandu our staff will wait in an airport and you will be transferred to the hotels. 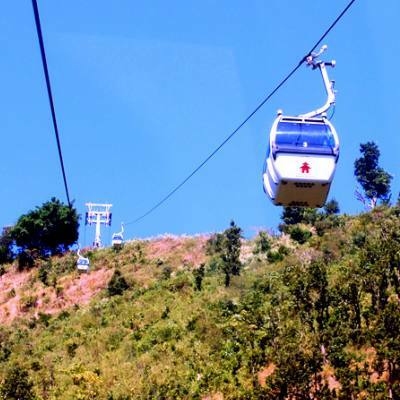 Day 20Free Day in KathmanduToday, its bit will relax and you can go explore the city with a guide. You can do shopping, go sight seen see people here. Night stay at hotel, (Breakfast). Day 21Departure towards your destinationLast day of Nepal with us, its great opportunities to work with you great people and hope you will share your adventure and keep it with always about us, guide, and country. Hope we will meet you soon.